Thank heaven for this month of fantastic interviews! I’m still trudging my way through grading finals, pricing all the little Bs’ toddler clothing to sell, preparing for two rounds of family visits for Easter…oh and maybe writing in there somewhere. Whew! So let’s continue on with our amazing Indie April and chat with sci-fi wonder, J.I. Rogers. First, let’s get the niceties…well not out of the way, as it were, but if you’d like to introduce yourself—who you are and what you write, etc etc etc. Hi. I’m J. I. Rogers, and I write a fusion of dystopian science fiction and space opera. My bio aptly states that when I’m not acting as a conduit for the voices in my head, I’m a poster child for Gen X and the Queen of most boondoggles that lead to eye-strain and tinnitus. Simply put, I’m a green-eyed, ginger-haired, caffeine addict who currently spends most days (and nights) creating bits to go into ‘The Korpes File Series,’ art, or convincing to my family and friends that I’m not dead. What would you say was the first book (or author) you read that inspired you to become a writer? 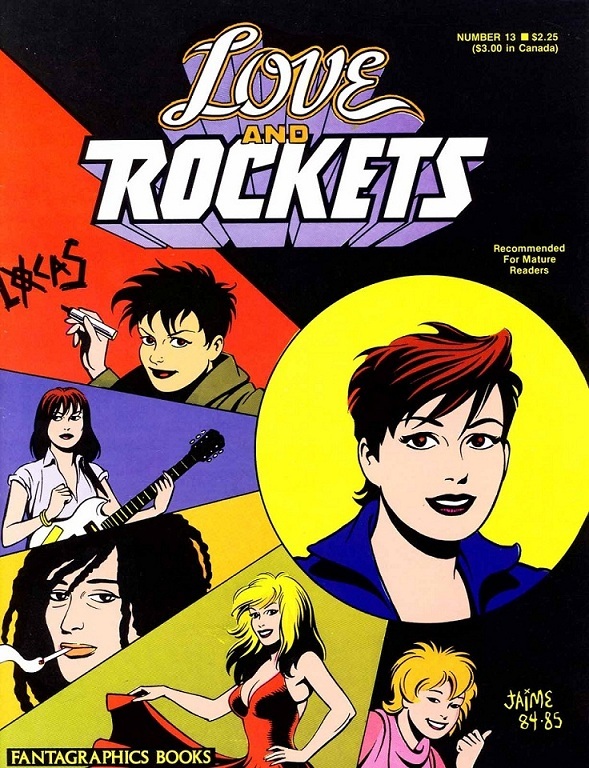 The graphic novel series “Love & Rockets” by Los Bros Hernandez is what truly set me on this path. I’ve been an artist for far longer than I’ve been an author, and Jaime’s work, in particular, sparked the Muse to create my own world. It’s taken close to thirty years to get the ball rolling. In the meantime I’d have to say that every book I’ve ever read has pushed me toward committing text to screen; even the ones I didn’t like. Authors such as Jules Verne, H. G. Wells, Barbara Hambly, George Orwell, R. A. MacAvoy, Anne McCaffery, G. R. R. Martin, J. R. R. Tolkien, Terry Pratchett have also added their influence. I wrote a few short, fantasy stories based in Mercedes Lackey’s world in the 90s, but my APA, “Northwest Passages,” was sidelined by other projects. 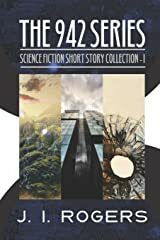 Now according to your “About” page on your site https://jirogers-author.com/, you started working on the sci-fi series The Korpes File back in 2012. This series is set on a different planet, Tamyrh. I’ve never imagined creating an entire PLANET, let alone its various histories and cultures! Can you describe your world-building process for us? Usually, I’ll start with the character, loosely identify their physical and personality characteristics, and then I’ll interview them to learn more. After a couple of paragraphs, I have more of an idea of who they are and how they fit in the world. I’ve found that the characters themselves reveal a fragment of ‘foundation’ information or a core element fairly early on. Things like ‘bullied,’ ‘has integrity,’ and ‘chronic tease’ are just a few of the things that have emerged. From there, I let them flesh themselves out as I write. I’m still learning things about Nash and the other inhabitants of my world. I have found a few photographs that are close to how I visualize the different racial groups of Tamyrh, but none that define the characters. I’m planning to release a sketchbook in 2020 with my vision of what everyone looks like. I’m continually finding visual inspirations in our world that I can shape to place in mine, as my Pinterest account can attest. Other aspects, the alien ones, have lurked in my subconscious for decades. 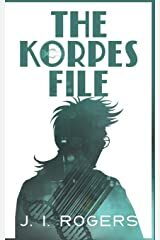 The protagonist in The Korpes File, Nash Korpes, sounds like a fascinating character, burdened with history he didn’t ask for and facing an entire society down in his own “private war,” as you put it. Would you say Nash first appeared to you as a complete person or did you piece his character together over time? Nash’s ‘Sarcastic voice’ revealed itself first, the rest followed. To be completely honest I’m still learning things about him, and I’m almost done the draft of book three. You have a little disclaimer on your Korpes series’ web page that the stories contain some serious themes, such as genocide and racism. Were these themes you felt compelled to address via your story, or did your characters seem to guide you into these topics and address them their own way? All the themes addressed were things that happened organically. There are six distinct humanoid groups on Tamyrh, and one uniquely alien. I had a vague idea of the physical and racial characteristics involved, and as I created the environments (cities, countries, and cultures), they suggested other, human-relatable traits and issues. An excellent example of this subconscious creation would be I knew the Korlo were xenophobes. It wasn’t until I discovered they had never fought a major war on their own soil, they had a small population, and their culture was highly class oriented that I understood why they responded negatively to the Diasporan (refugee) influx. Another example: I didn’t know one of the main characters was gay until he started hitting on another character in a bar scene. Some of the storyline has been on the loom for over thirty years, and the Muse is good at picking up stray threads. As a fellow series writer, I have to admit that fatigue does occasionally set in—my brain keeps thinking on other projects, and if I don’t let my fingers at least get a few things down my creativity goes haywire. The timeline for your series looks pretty extensive, so I can’t help but ask how you stay dedicated to a single series for so long without going nuts. HA! I am nuts, just ask anyone who knows me. It helps that as I’m writing, I’ll write scenes or chapters in the future or past (other books). I have at least four or five projects going at once, so if I tire of one, I can keep momentum and interest going by working on another… or stepping out of the office and down to the studio and doing some art. There are also movie nights. When my hubby and I merged households, our book and movie collections threatened to form a singularity. To appease the various gods of chaos, we watch a movie every couple of days. On the flip side of building an entire world, you also do the “Six-Word Story Challenge,” telling scenes not only with six words but with a unique image in the background. Now I know you’ve been doing this for at least a year, even creating these six-word stories with alphabetized theme words. I believe you’ve had an exhibit for these pieces of storytelling art, correct? How on Tamyrh did you get into this unique vein, and how would you say it powers your creativity? “Six-Word Story Challenges” are great little warm-up exercises. Sometimes they’ll lead to a much longer scene, and other times, they’re the perfect summation (I’ve even hidden a few in the books). The art exhibition was more of a happy coincidence. A friend and I were going to do a joint exhibit and then she had to withdraw due to poor health. The show was scaled back (I had to omit pieces that were designed for a larger space) and come up with something that could fill the void. I opted to have my show become interactive by encouraging people to look at the art (paintings, sculpture, and prints), then write a six-word story about their experience. I had about forty responses, half of which were genuine attempts. The other half were by someone who liked noodles. I think it’s safe to say all writers have their own writing Kryptonite. Mine’s that dreaded phone call from the school principal—kills my creativity in a heartbeat. What’s your writing Kryptonite? I lived in East Africa when I was growing up. A Cheetah has to eat its kill soon after it’s brought down; they don’t eat carrion unless the situation is dire. In the past, tour buses would come in close so the tourii could get better shots, the noise would scare the kitty off, and the poor thing would have to go and find another gazelle to run down. This was a problem because of the enormous amount of energy they expend in the chase. After being run off a third time, some were too weak to make another try and actually died. Laws were passed to prevent the tour companies from harassing the wildlife. When my hubby closes the door to his office, he’s busy. When I close the door to my office, it means I’m writing. If I’m pulled out of my groove to do something that didn’t really need me to do it I’ll get peevish and make snarly noises. If it happens three times in a row, I’ll try to eat the tourist. You are an AMAZING supporter of fellow indie authors in the blogging community as well as on social media. What advice would you give newbie writers as they work on building their own author platforms? My advice is to share posts, create engaging content, leave reviews, be positive without looking for immediate evidence of karmic return. In other words, treat people the way you’d like to be treated. Ultimately, it might even lead to Jean Lee inviting you to appear as an interviewee on her awesome blog. What would you say are common traps for aspiring writers, and how would you suggest avoiding them? 1. Don’t edit as you write, only edit after you have the first draft done. 2. Schedule your time on social media like it’s a job. Have a reason to be there and a time when you log off. 3. Take breaks, stretch, and remember to go outside and play with your friends. Do I do all of these things? No, but I’m aspiring. What would you consider to be the most problematic practice in the publishing industry, and how would you try to change it? I’ve never been a fan of politics, and it seems to be a constant in any field, creative or not. I would love to win something like a Hugo or a Nebula Award at some point before I die, but the former has become highly political from all accounts, and I’m not traditionally published in the case of the latter. I’m not holding out much hope. How would I change that? It’s out of my power. However, if you can’t bring about big changes, change something in your own neighborhood, right? There are a lot of indie publishers who embody positive energy and support their fellow authors; actions like theirs make everyone stronger. Model the behavior you wish to see, be the person you want to encounter and boost the worthy folks you meet. Pay it forward. Oh! Tell us about your current project(s), please! I’m currently working on books three through six of “The Korpes File Series,” painting the cowling on my Vino scooter before I put it back on the road, finishing up some WAY overdue art commissions, and creating a character sketchbook for my patrons (that’s due out in 2020). Many, many thanks, my friend! I hope you’ll check out J.I. Rogers’ amazing stories on her Amazon Author page as well as subscribe to her newsletter. You can also find her on Twitter and on her website. Stay tuned for yet another lovely indie author interview next week–in fact, I’ve actually gotten requested by more authors to interview them, soooooo this interview-a-thon may very well spill into May. We shall see!